It’s incredibly important to maintain a thorough cedar hedge-trimming regime, especially if you are interested in growing a healthy, full-bodied hedge. The most important thing for your cedar hedges is to make sure that they get ample sun; this means you’ll also need to keep an eye on any overgrowing trees and make sure that they’re trimmed back for the sake of you hedges. 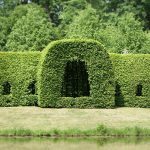 iTrim4u specializes in caring for cedar hedges and we can trim back your hedges in addition to pruning your lower hanging trees, ensuring that your cedar hedges are well kept and able to grow to their fullest. One of the most important aspects of a cedar hedge is that they will not experience new growth from areas of old wood. What this really means is that you need a professional to trim your hedge; if the wrong area is cut or trimmed back it could spell disaster as this area will never grow back. This leads to patchy, unsightly spots of non-growth on an otherwise beautiful cedar hedge. It’s common for us to visit a cedar hedge and see that people have pruned and trimmed it, expecting that it will grow back denser as with other plants. Cedar hedge trimming must be done properly and that is why many people have relied on our services. iTrim4u specializes in cedar hedge trimming all across the Greater Toronto and Durham regions. 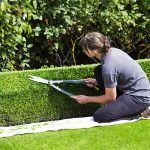 Trimming your hedge can be important to ensure its long-life and beautiful appearance, but are we able to help you trim extremely tall hedges? We can tackle it; no hedge is too tall for iTrim4u. 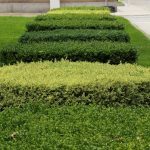 If you are interested in us trimming your hedge regularly be sure inquire about our cedar hedge maintenance services, we regularly trim hedges for many satisfied customers. Not only will we trim your cedar hedge but we will also leave your property looking fantastic. Trimming these hedges can easily become very messy. One of the main reasons people want their hedges trimmed is to keep their property looking great. Therefore, cleanup is an essential part of the job, iTrim4u always goes the extra mile to make sure that ALL debris is cleaned up and neatly disposed of. Regardless of the length, width, or height of your cedar hedge – we are your one stop trimming solution and the leading hedge specialist in the Durham region. If you have any questions regarding our hedge trimming services please give us a phone call at 905-259-5138, we would be happy to discuss with you your specific needs. 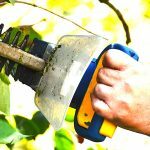 Want a hedge trimming quote? Contact us today!